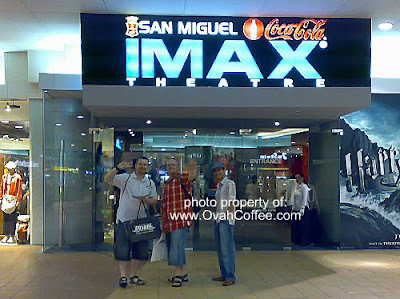 Even months before flying to the Philippines for a three-week vacation, Janne, Lo and I were already planning on experiencing IMAX at the SM Mall of Asia. It was on our second week there when we were able to finally put the plan into reality. It was such a spectacular experience. The movie we watched on the 120-feet-wide IMAX screen was Transformers: Revenge of the Fallen. So, how wide is 120 feet really? (If you are still wondering how big is 120 feet, check the photo below and be "wowed". 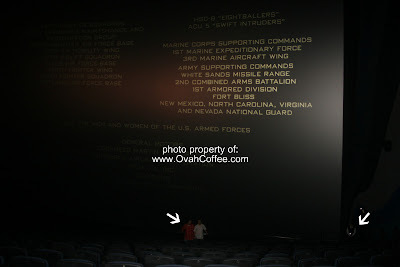 See how tiny Janne, Lo and the IMAX crew are compared to the huge screen? Note, I wasn't really able to take a photo of the entire movie screen as it won't fit into my camera. Sorry about that): Without any doubt, I enjoyed the experience! It was extraordinary and fun to sit in front of a gigantic movie screen with a state-of-the-art digital surround sound system. Although Transformers: Revenge of the Fallen was only shown on 2D and not 3D, it was still worth paying for. IMAX tickets are priced at Php400 each. 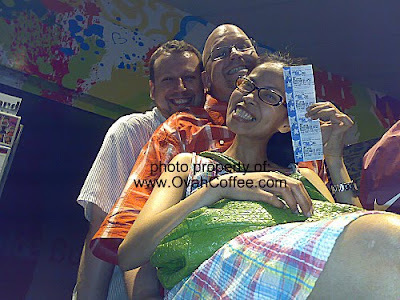 I suggest you reserve/buy tickets in advance so you can choose the seat numbers you want. As per experience, avoid sitting too near the screen so you will not end up turning your head up and down, from left to right and end up being dizzy. Seats from letters J upwards are the BEST SEATS you can have. Recent blog:=- Coke Plus Pork Meat Equals Maggots? 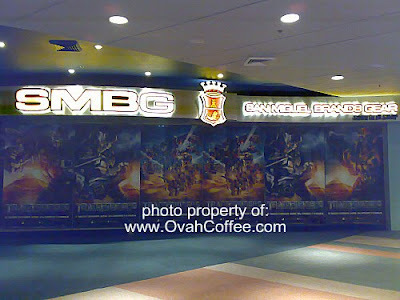 IMAX and other extra-big screen theaters are awesome ... glad to hear that you enjoyed it!